Summer Disneyland hours August 2019. Lots of sunshine and long hours of operation make this a nice time to visit Disneyland and California Adventure theme parks. It's summer in Southern California! Time for a staycation or vacation. August is a popular vacation month, with many families visiting Disneyland, especially before mid August. The park stays open long hours on most days. Arrive early to avoid the crowds, especially on weekends. The crowds start to thin out a little in mid August, as some schools start early. During July and early part of August, Disneyland hours of operation are long - opening at 8 AM or 9 AM and closing at midnight, with California Adventure park opening at 8 AM or 9 AM and closing at 9 or 10 PM. Later in August the parks may open an hour or two later, or close a little earlier. See the table below for the exact hours of operation each day. When are Disneyland opening and closing times in August 2019? See when Disneyland opens and closes during August in the following table. The early morning admission hours (one hour before, special ticket only) are also included. Disneyland hours are tentative for some dates if states “tent”, as Disney waits until 4-6 weeks before the date to publish the hours. 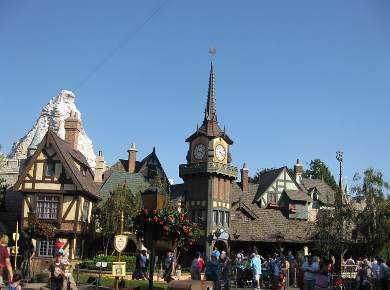 We used the summer Disneyland hours from last year as a guide. We will update when available. *If you have a Disneyland ticket with early admission privilege (Magic Morning or Magic Hour), the early admission hours of operation for Disneyland (DL) or California Adventure (CA) theme parks are one hour before regular park opening time. With the summer crowds, you won't want to miss your chance to enjoy some rides without waiting in line. **Some Disney annual passports are blocked on certain days. All passes are good unless listed here as blockout days. Disneyland passports with blockout dates include Signature (S), Deluxe (DL) SoCal (SC) and Southern California Select (SCS) annual passports. SCS is blocked out for most days in August.